We hold a non-operating interest in a producing concession covering the majority of our activities in Denmark. The concession was granted in 1962 and will expire in 2042. Our interest reduced to 36.8% from 46% in July 2012, when the government entered the partnership with a 20% interest and the government profit share of 20% was abolished. We are the operator of the Corrib Gas project (Shell interest 45%), which is currently at an advanced stage of construction. At peak production, Corrib is expected to supply a significant proportion of the Ireland’s natural gas needs. hydrocarbon producer in the Netherlands. Shell and ExxonMobil are 50:50 shareholders in Nederlandse Aardolie Maatschappij B.V. (NAM), the largest hydrocarbon producer in the Netherlands. An important part of NAM’s gas production comes from the onshore Groningen gas field, in which the Dutch government has a 40% interest, with NAM holding the remaining 60%. NAM also has a 60% interest in the Schoonebeek oil field, which has been redeveloped using enhanced oil recovery (EOR) technology. 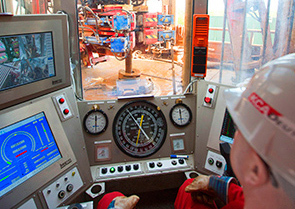 NAM also operates a significant number of other onshore gas fields and offshore gas fields in the North Sea. We are a partner in more than 20 production licences on the Norwegian continental shelf and are the operator in six of these, including the Ormen Lange gas field (Shell interest 17%) and the Draugen oil field, where we increased our interest to 44.6%. We have interests in the Troll, Gjøa, and Kvitebjørn fields, and have further interests in the Valemon field development and various other potential development assets. We operate a significant number of our interests on the UK Continental Shelf on behalf of a 50:50 joint venture with ExxonMobil. 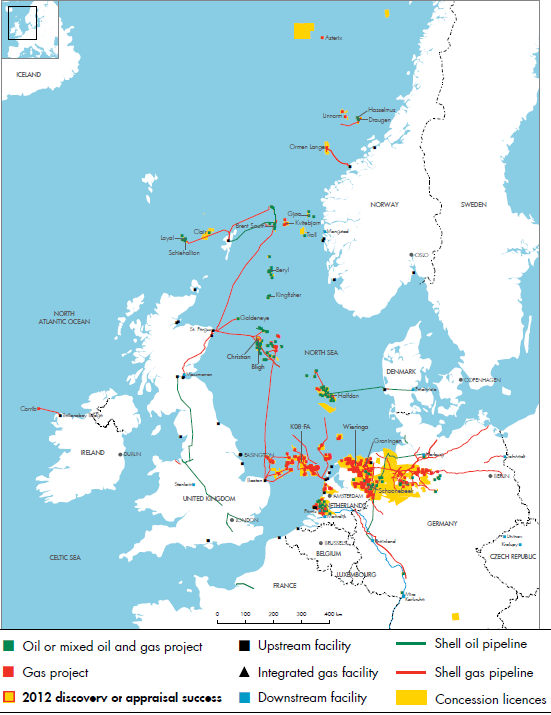 Most of our UK oil and gas production comes from the North Sea. We hold various non-operated interests in the Atlantic Margin area, principally in the West of Shetlands area. We have increased our interest in the non-operated Schiehallion field to 55%, and in the Beryl area fields, with interests ranging from 25% to 66%.